The Rebel Sweetheart. 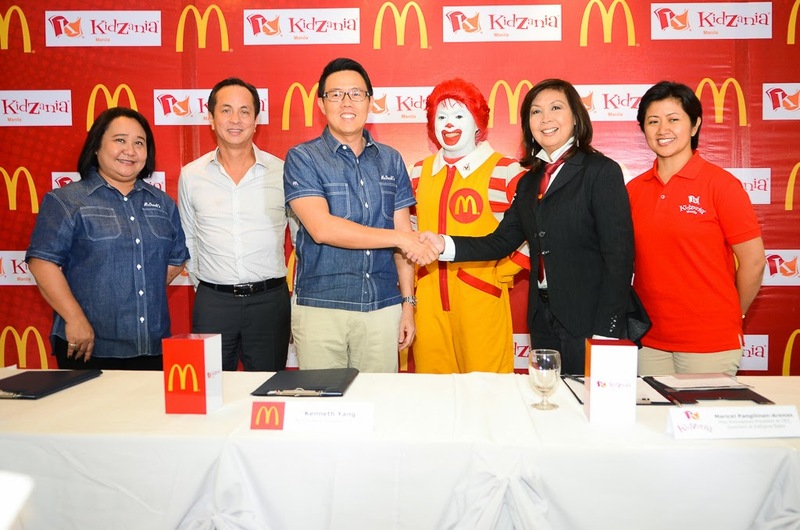 : McDonald’s Philippines teams up with KidZania Manila! McDonald’s Philippines teams up with KidZania Manila! Heads up, moms, dads, and kids! McDonald’s Philippines is happy to announce its partnership with KidZania Manila, an educational play city for kids that will open in 2015. KidZania Manila will feature McDonald’s Burger Shop where kids age 4 to 12 years old will learn the ingredients that go into every McDonald’s Cheeseburger and each step of the process in making it. The training that kids will undergo is the same standard procedure that ensures Quality, Service and Cleanliness delivered to every customer and each meal enjoyed in any McDonald’s around the world. It’s definitely a fun experience where kids develop their skills and teach them the values of responsibility, hard work and discipline. Kidzania and McDonald's Philippines MOA signing. This partnership strengthens McDonald’s commitment to children’s wellbeing as it continuously paves ways to provide enjoyable and enriching experience for families, the McDonald’s way. Kidzania Manila - where kids can be anything! Be sure to watch out for the opening of McDonald’s Burger Shop at KidZania Manila where kids can develop their skills, learn important values and meet new friends while having an awesome time! That does sound like a fun partnership! McDonald's does do so many good things for their communities, that's a great big plus for them in my book. Sounds like an exciting advancement for McDonald's Phillipines, for sure! I love that KidZania Manila instills in kids that they can be anything and I am all about helping to empower kids, so this sounds like a definite worthwhile partnership. I think it´s great partnership. I like that McDonalds is doing something like this! I never heard of McDonald's doing this type of thing in the US. At least in the Philippines they are trying to help the children learn values. Ever since I learned about Kidzania, mas excited pa yata ako kesa kay Gwen haha.